My favourite example of a Kickstarter project is from Zack Danger Brown, who simply asked for some funds to make a ‘potato salad.’ The page went viral, and he ended up raising nearly $56,000. 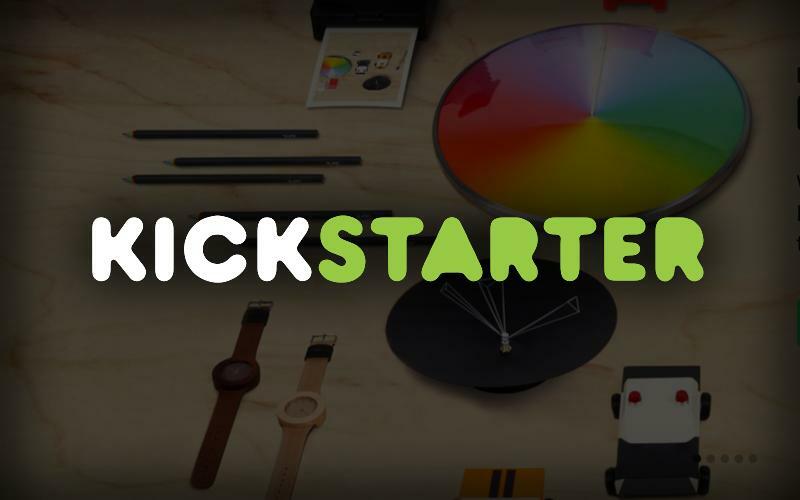 Kickstarter has revolutionized the way creative people can finance their work. The premise is simple; anyone can promote an idea they’ve had, and others can donate money to help see it become a reality. Over $3,643,039,213 has been donated by people to help fund a range of different ideas. I think some genuinely great creative work has emerged from Kickstarter. I helped fund a full series of YouTube show Don’t Hug Me I’m Scared, which went viral after having the aesthetics of a kids TV show, but was really a dark satire on how children are influenced by the media. But I would argue ‘crowd funding’ for the creative industries was around long before Kickstarter, in the form of tax payer funded entertainment. It’s a similar premise, with people paying towards the funding and development of creative work, the only difference being it’s not optional. In the UK, publicly funded art is chosen by Arts Council UK. They’ve detailed a four year plan of investment, with nearly £600 million given to creative projects around the UK. This will go to arts, museums, theatre shows, and films. This model has been hugely successful. It’s created high quality creative works, which have been enjoyed by millions. It has supported 830 different creative organisations and help promote diversity and business skills in the creative and cultural industries. So which type of funding is better? There is heated debate across UK media about the publicly funded culture. This features predominately in the right-wing press, which often features commentators enraged about the irony of filmmakers using publicly funded films as a platform to criticize the government. Take this Daily Mail piece as an example, which frames Ken Loach as someone happy to take Tory money to make a film criticizing them. Personally, I tend to side with left wing publications, who are much more likely to say that governments need to invest more in culture, as it’s an area of huge talent for the UK. I have to admit though, I do find part of the argument against publicly funded culture compelling. Why should a theatre show that wouldn’t make a profit on its own merits be publicly funded for the benefit of a niche audience? Especially when that money is drastically needed in areas like the NHS. But of course, there are numerous arguments for why the arts need to be funded. It boosts the economy and inspires people. As someone who wants to go into the creative industries, of course I don’t want to see the government let it become a privatised sector with profits more important than quality. Crowdfunding may seem like a good compromise for those against tax payer funded culture, as people can decide to contribute to arts if they want to, and creators still have a way to finance their work. However, it’s incredibly difficult to secure funding on Kickstarter. I also don’t think Kickstarter produces the same type of creativity. Where the Arts Council only funds creative words that are culturally relevant, I would argue that the types of work Kickstarter generates are often more pop-culture than arts culture. Although of course, who’s to say which is more important? I feel they both are, but perhaps in the future there could be a way for publicly funded bodies to use the ideas behind Kickstarter as a model, to ensure that art the public wants gets funded. I think this could encourage more people to take an interest in the arts, and democratize the funding process, as well as preserving funding for culturally relevant creative arts. How often do you see adults who are so immersed into a game that on their faces appears a lively childish look which makes them glow as bright as when they have first experienced the magic of the play? Well, this is what the team of yello brick can give to your audience – an adventure specifically tailored for your brand which will place your targeted market at the centre of an unforgettable story. yello brick is a fast-developing marketing agency which creates not only physical events but also digital experiences. The idea for the company originated from its founders’ interest in social interaction and their desire to mix theatre, street and game elements to see how people would respond. Of course, the success of this innovative venture came soon enough – in 2014, yello brick won a BAFTA Cymru Games Commendation for the compelling project Reverie. What made Reverie exceptional was the efficient mixture of old and new, as the game did not only encourage participation in physical events across Cardiff Bay, but also built a large online community of followers thanks to a huge marketing campaign on social media. Thus, Reverie once more demonstrated that technology and digital expertise are key to the success of the creative industries and the promotion of new projects in the field. However, the success of yello brick was not pure luck but rather a result of tough work and constant efforts. As Alison John notes, games are not necessarily seen as an art form by the Art Council, and funding can sometimes prove to be slow and challenging. So, her advice to all future creatives is to fight hard for their dreams instead of waiting for somebody to provide them with the necessary resources to chase them. Undoubtedly, this piece of wisdom can be useful to all startups, which are about to make a name on the market. With the significant cuts in public funding for culture and arts in the last few years, more and more companies struggle to create or preserve their brand identities. On the bright side, the UK government gradually realizes the importance of the creative sector to the economy. In result, the Arts Council England (ACE) has announced an increase in culture funding with extra £37 million per year in the period between 2018 and 2022. The strategic allocation of those funds will aim to enhance creative and regional diversity by funding more small startups outside London. However, it is obvious that ACE’s budget is still highly restricted, which continues to limit artists’ access to public funding, and could potentially discourage participation in shaping the cultural landscape of the country. In response, new innovative methods for financing creative ventures continue to gain popularity, including crowdfunding and other forms of private investments. In the case of yello brick, working with different clients is essential – as Alison mentions, they have benefited from ACE’s financial support, but a significant part of their business also involves designing projects for corporate partners. So, in times when it gets harder and harder for the creatives to receive public funding, yello brick proves to be a true inspiration and an example of an innovative company that refuses to wait for success to come, and instead, chases it confidently and fearlessly. Undoubtedly, in that courage lies a lesson every graduate who wants to enter the industry needs to pay attention to!